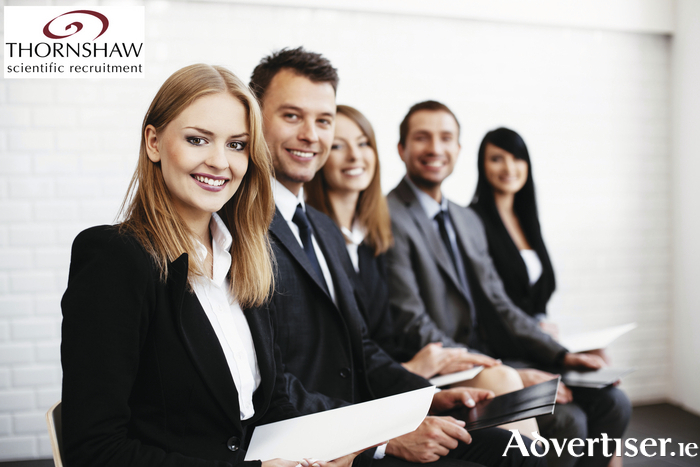 Advertiser.ie - New Year, New Career! Everyone knows the feeling. That voice in the back of your mind on the last day of Christmas Holidays that screams “No, don’t go back!” While some of us can write the nauseous feeling off to simply too many selection boxes and glasses of vino, many can genuinely dread the prospect of going back to work in January. If this is you, it might be time for a change. It can be scary to even consider looking for a new job. We get stuck in our routines, comfortable with our colleagues and forget about our own ambitions and goals. It is so important to be happy in your job. Ultimately it has some effect on all aspects of life- health, wealth, family and friends. Everyone throws around the phrase ‘work-life balance’ but shouldn’t life tip the scales just that bit more than work? Life is too short to be stuck in a job with no enjoyment when there are so many opportunities available. If you are not one of the chosen few to have found the ‘dream job’ fear not, Thornshaw are here to help with the process! We have compiled some simple advice for getting started on the job hunt. Do a quick brainstorming session before you start your search. Pick out the parts of your job that you like and know what you are looking for in a new role. Have a list of keywords that are ‘essential’ and ‘preferred’ for a new role. If you know what you want, don’t compromise. Less is more – pick a few roles that you are most interested in and take the time to tailor your CV to each one. You are more likely to stand out in the mass of standard CVs. Use credible job sites and agencies to search for roles. Some job boards copy adverts from popular sites and are not always accurate and up to date. If in doubt, search for a name and contact number and get in touch directly instead. Make sure it is laid out in a logical order and has clear headings including; personal profile (who you are and what you are looking for ), education, work history and any technical abilities that are relevant. It is mentioned time and time again but always ensure all dates, spellings and punctuation are correct. It might seem small but when spellcheck highlights errors so clearly, there really is no excuse for spelling and punctuation errors. It appears lazy and doesn’t bode well if ‘attention to detail’ or ‘perfectionist’ is a highlighted skill. Tailor your CV to each role. In a mass of applications, recruiters are looking for essential keywords. Read through the description and when something is mentioned that you have experience in, write it down. At the end, you will have a list of reasons you are perfect for this job. Incorporate it into your CV and away you go! Also, the extra little confidence boost of seeing your capabilities is always welcome. Highlight what you’ve achieved, not just your everyday tasks. If 5 QC Analyst CVs include a list of similar tasks, how is yours going to stand out from the rest? Include any project work you did. Did you undertake any courses to improve your skills? Did you perform particularly well on a given task? Did you receive any awards or accolades? It may feel like boasting or arrogance but if it’s not written down, how will employers know? Bite the bullet and show them what you can do! Recruiters might often get a bad reputation but a large majority are genuinely interested in helping people get the job they want. Be fair and honest and it could be the start of a beautiful friendship! Keep a record of where you send your CV and where it is being sent by others. Companies don’t like to receive multiple copies of the same CVs and it can reflect badly on the candidate through no fault of their own. Target jobs you are interested in and suitable for. Don’t just apply for every job you see, it will frustrate hiring managers and recruiters to respond to numerous applications when the requirements for the role are clearly outlined in the job description. Be prepared. Do as much research as possible on the company you are interviewing with and be sure to know the names of the people interviewing you. Candidates have been rejected from roles by not knowing what company they are interviewing with, not knowing what role they are interviewing for and doing absolutely no research on the company. It takes 5 minutes on your phone while waiting to go in, to look at the company website. Don’t be late. Try and always be there 10 minutes early. If you don’t know where you are going, do a test run beforehand. If it’s not possible to do a test run, leave plenty of extra time. Have the number of your recruiter or the company and give as much notice as possible if you may be late. Things happen, we’re all human but be courteous enough to let people know. Know your CV. Make sure you know your CV inside out so that you don’t trip up on any questions. Know the job description. The company have a given you a list of what they want for this job, use it. They will ask competency questions based on the job spec, it is a huge advantage to have. Read your interview invitation thoroughly. Right date? Right time? Right location? Do you need to bring any forms that have been requested? Have they requested you to bring a copy of your CV? Dress to impress. It’s always better to be over dressed than underdressed so be sure to suit it and boot it. Companies can have a casual dress code for staff but this does not mean interviews will be casual dress. Make sure you have a few questions prepared for the end of the interview. You can ask about the role, the people you’ll be working with, the culture, any projects or challenges and even training just be sure NOT to ask about pay, holidays, sick leave and lunch breaks. Prepare situational examples that highlight your experience and showcase any goals you achieved. Even better, have a handful of examples that can cover a wide range of different skills and abilities. Don’t forget to smile, shake hands and remember first impressions count. The process of getting a new job can be nerve wracking but don’t put excess pressure on yourself. Keep calm, prepare well and all will be fine. Get in touch with us at Thornshaw Scientific Recruitment for job opportunities, advice or help.